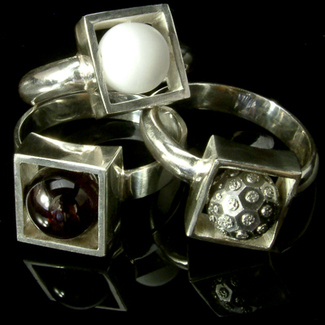 Sterling silver worry ring with a garnet bead. A plain, flat ring band and smooth	garnet bead make this a simple but stylish ring. The bead only rotates slightly on this ring, but enough to rock it back and forth. It also feels nice to brush your finger over it and feel the contrast with the square edges of the setting.